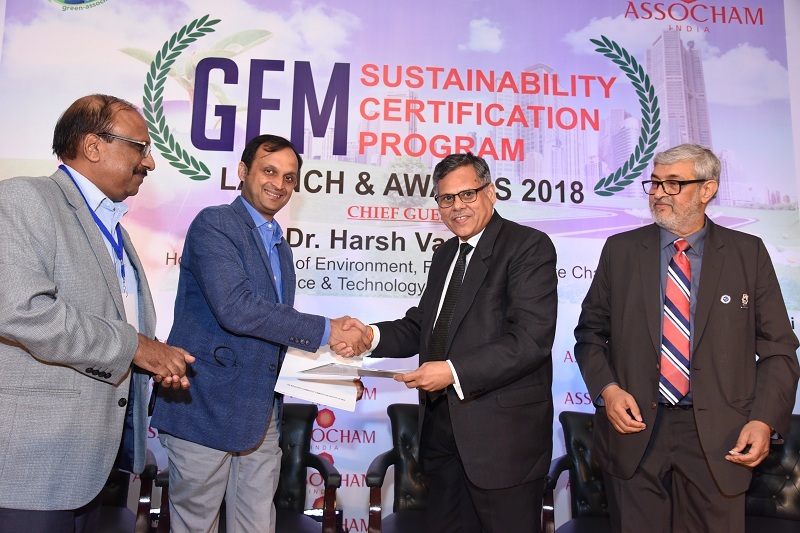 ASSOCHAM has signed the MoU with ASHRAE India Chapter on August 29, 2018 at Hotel Le Meridien, New Delhi. Sh. Uday Kumar Varma, Secretary General, ASSOCHAM , Sh. Pankaj R. Dharkar, Chairman, Council for Green & Eco-friendly Movement (CGEM ) , Sh. Dinesh Gupta , Past President, and Sh. Priyank Garg, Immediate Past President, ASHRAE India Chapter signing over the MoU.